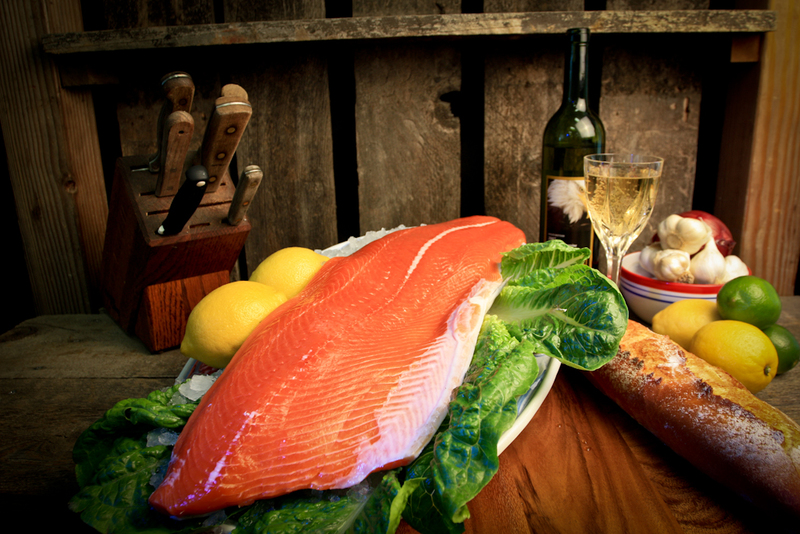 Fresh wild King Salmon has the highest omega-3 oil content and most velvety texture of wild Pacific salmons. It is a delicious rich-flavored fish which lends itself to a wide variety of cooking. Chinook Salmon are the largest of the wild Salmon species. Average commercial weight is 11 – 20 lbs but they can reach over 50 lbs. Fish in the sea are dark greenish to blue-black on top of head and back, silvery to white on the lower sides and belly; numerous small, dark spots along back and upper sides and on both lobes of caudal; gum line of lower jaw black. In fresh water, with the approach of the breeding condition, the fish change to olive brown, red or purplish, the color change being more marked in males than in females. 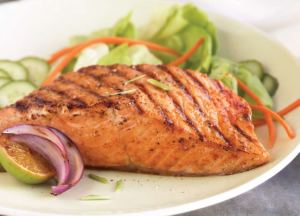 King (Chinook) Salmon is a succulent full-flavored high-fat content fish which has large, soft-textured flakes, and the flesh can range from almost white to pink to deep red. The color of the flesh has no bearing upon its Sockeye Salmon is a fabulously full-flavored fish with a high fat content which contributes to its rich flavor. It has a firm texture with medium sized flakes and flesh which ranges in color from orange to deep red. 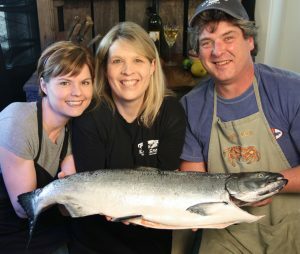 Compared to Chinook (King) Salmon, Sockeye has a denser, meatier texture and a more intense flavor, while King has a more succulent, tender texture with larger flakes.